Medical marijuana is a hot topic in today’s society and scientists are eager to learn more about how cannabis can be used to treat serious and life threatening health conditions. We already know than marijuana can be life changing for people that suffer from debilitating seizure disorders or brain cancer. Now there is new evidence that shows medical marijuana might be most effective when delivered to patients through vaporizers. A recent study in Israel looked at how whole-plant cannabis could be used with vaporizers to treat patients with chronic nerve pain. After giving vaporizers to patients along with whole-plant cannabis, they found that this method provided significant and fast-acting pain relief, without jeopardizing the individual’s ability to continue with daily life. The scientists were stunned to find that vaporizers were highly effective in giving quick results and stated that the study was conclusive enough to move towards using vaporizers in place of many of today’s highly addictive pain medications. The patients that tried vaping whole-plant cannabis reported a 45 percent reduction in their pain intensity within a window of 20 minutes. There were no serious side effects and the only reported adverse impact of vaping was a slight lightheaded sensation that quickly subsided without any intervention. The researchers said that the patients only needed a very small amount of marijuana plant to get significant relief and were not stoned after vaping. In fact, this pain relief therapy would offer many patients a way to continue with normal responsibilities without feeling the horrific side effects of most prescription strength pain relievers. After seeing the impressive results in this study, the Israeli research team said the Syqe inhaler-style vaporizer was a good candidate to meet pharmaceutical standards in the near future. This could be the future of pain relief for many patients with chronic nerve-related pain. The only roadblock is government approval. 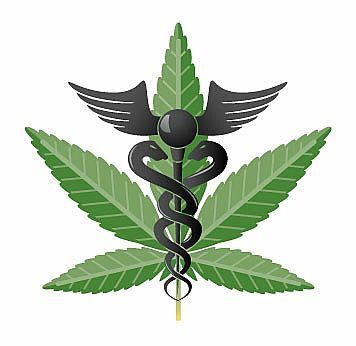 In the United States, the government has been highly resistant to considering medical marijuana, much less vaporizers used for medical purposes. In fact, the US has even blocked a lot of research on whole-plant cannabis, preferring that studies focus only on chemicals extracted from various parts of the plant. Despite the government’s hesitancy, 86 percent of Americans are supportive of offering legitimate patients access to medical marijuana. Hopefully this new Israeli research will grab the attention of US officials. If whole-plant cannabis can provide effective pain relief without leaving patients stoned, it could be a turning point in the whole medical marijuana debate. Perhaps using vaporizers for cannabis will one day be accepted and even approved by America’s healthcare providers, at least in scenarios where patients desperately need pain relief without the side effects of modern drugs.